After a lifetime embroiled in the turmoil swirling throughout Hesperus, an isolated dome on the brink of collapse, Hannah Wright is thrust into the conflict first-hand when a farmer torches the dome’s latest harvest. Desperate to mend things, she comes across the Voice. 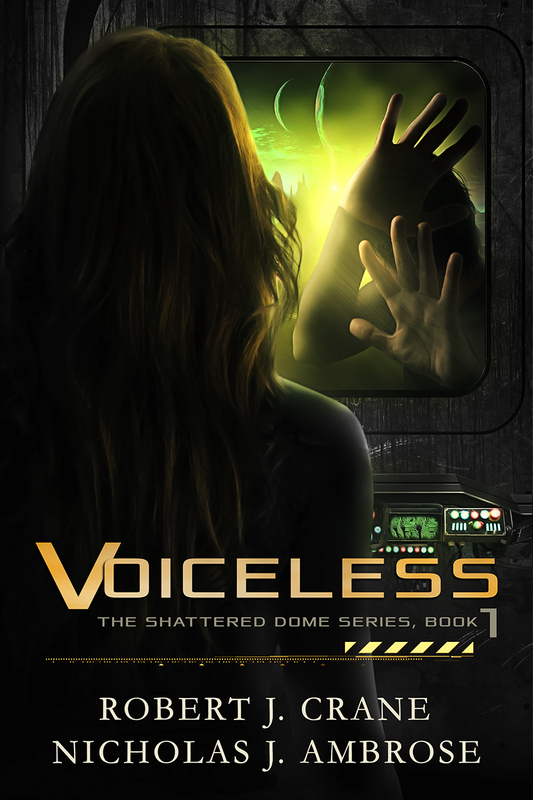 Run by Cadence Walker, a city-dweller who has watched the government steadily turn its back on the impoverished at the dome’s edge, the organization vows to unite the dome. But as a wave of violent attacks erupt throughout Hesperus, tensions rise along with the brutality - and unity may be further away than ever. WARNING: Due to adult content, this series is intended for MATURE READERS ONLY. NOTE: Series canceled after a discussion with Nick in which neither of us could really see a way forward on this one given the busy-ness of our schedules and the generally small fanbase of this particular book. We feel like we left Hannah in a good place, so rather than spend another couple books ripping the ground from beneath her just to end her back up in a good place again, we're going to just call this one a standalone and mark it done. Apologies to anyone waiting for the next one, but trust me - it's better this way.